Retailers are now able to use the Google Ads Merchant Promotions programme in Shopping Actions. This update now enables online retailers to add promotions to their Shopping Actions inventory. Now, any searcher will be able to see this promotion wherever the discounted products show in Google Express. The search engine has introduced this update to in order to increase the appeal of advertisers offerings and encourage customers to complete a purchase. 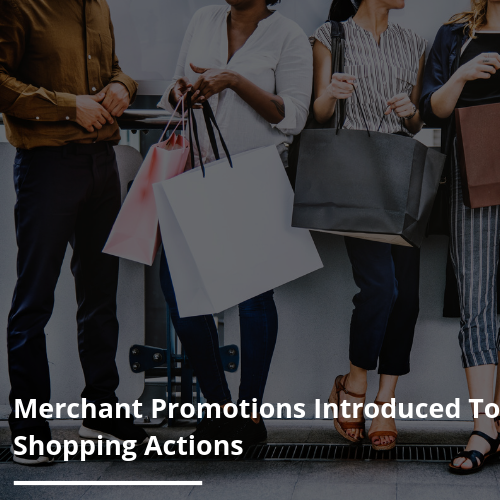 If you’d like to make the most of this update, you first and foremost need to be an active retailer on Shopping Actions with a Merchant Center account. Then, you need to complete the Merchant Promotions interest form that can be found here. Once this form has been approved, as a merchant you will then be able to link your inventory promotions. If you already have promotions running for Shopping Ads, you are able to just update the promotions destination attribute within the promotions feed to include Shopping Actions.